With all the teasing and what not Adidas Running having finally launched their New Ultra Boosts and they are indeed inspired by HBO's 'Games Of Thrones' television series. So Winter is finally coming and the series will be resume on April 14. The Targaryens are the former ruling family of Westeros, having been defeated in a rebellion led by Robert Baratheon and Ned Stark. 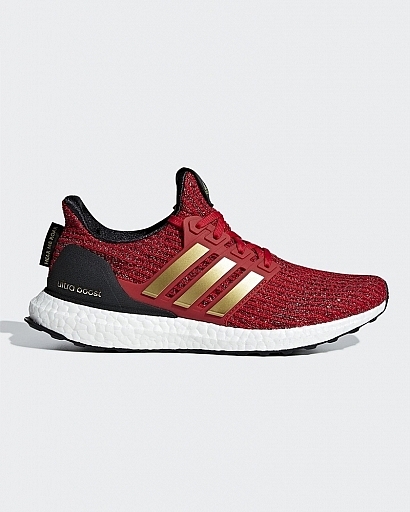 The house’s sigil is a red, three-headed dragon in front of a black background and their words are “Fire and Blood.” Those same words are present on a tag on the heels of both of their Ultra Boosts. House Stark are the wardens of the North and their sigil is a grey direwolf on a white background. 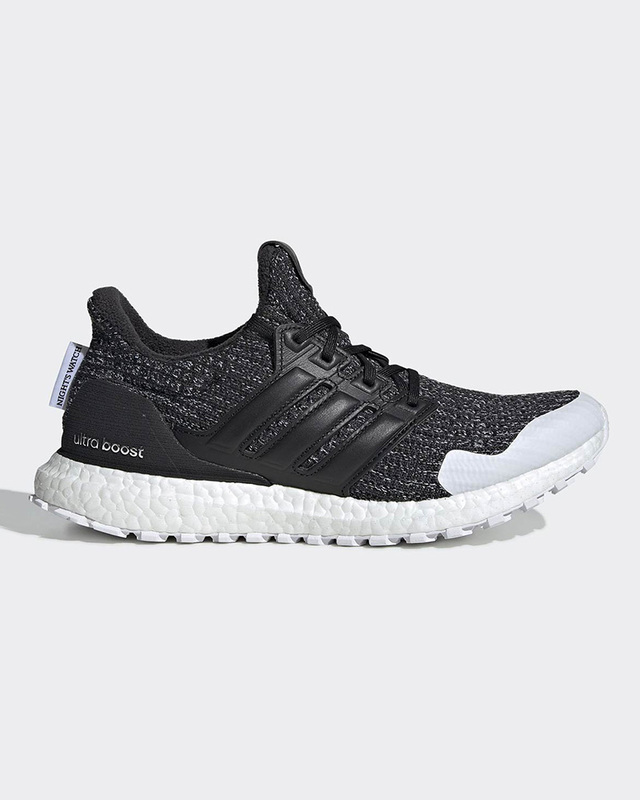 The house’s colors are black and grey, which adidas has very literally applied to its Ultra Boost. 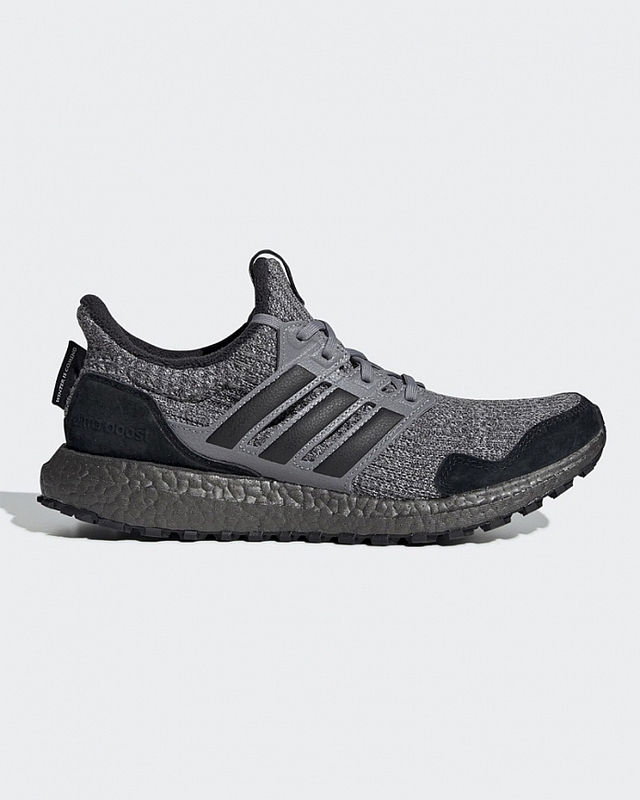 A dark grey Primeknit upper is complemented by hits of black on the lining, mudguard, Boost midsole, rubber outsole, heel cup, and Three Stripes branding. 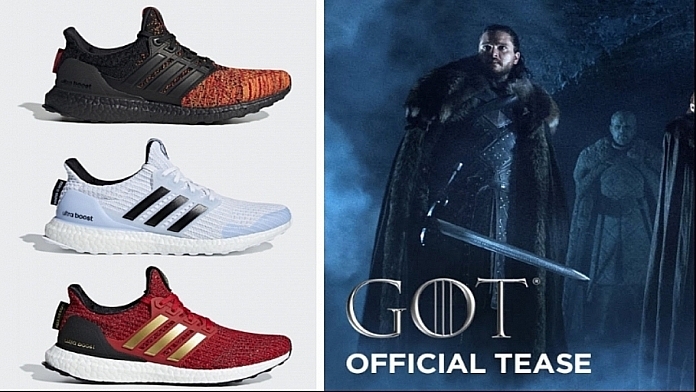 The house’s motto, “Winter is Coming,” is sewn onto the heel as a tag. 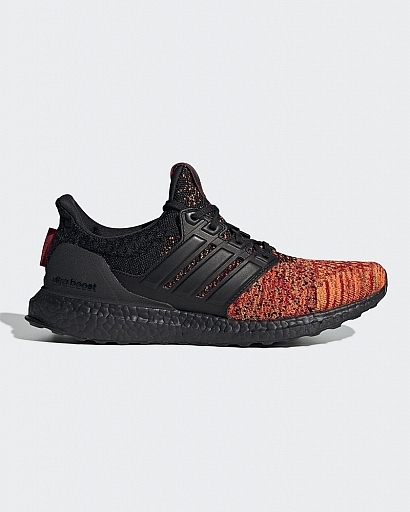 A heavier tread on the outsole, as well as a fleece sock liner also play into the winter theme. The White Walkers are undead creatures from the aforementioned North that only have one thing on their minds: destruction. As their name suggests, the White Walkers are primarily white or icy blue, owing to their natural, albeit frozen, habitat. 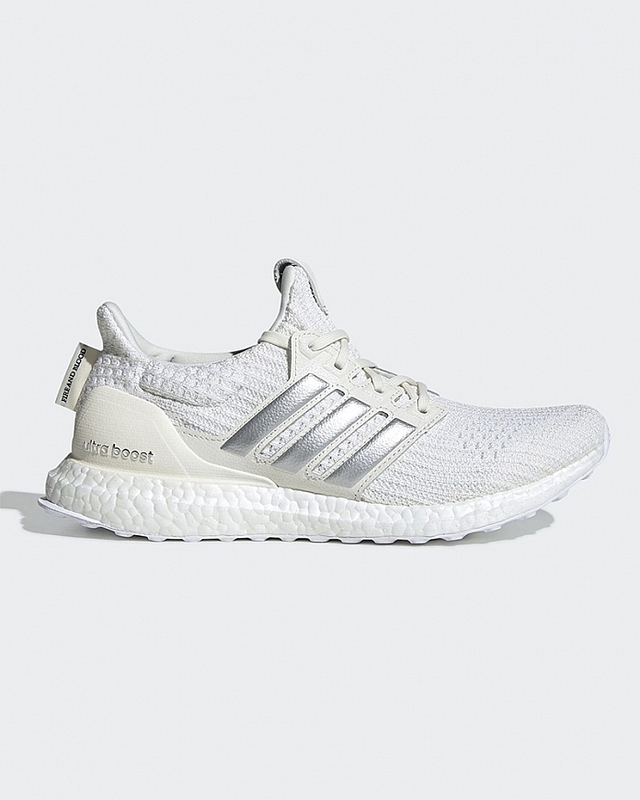 Their Ultra Boost is dressed in primarily white Primeknit, with hits of contrasting black on the tongue, liner, and Three Stripe branding. 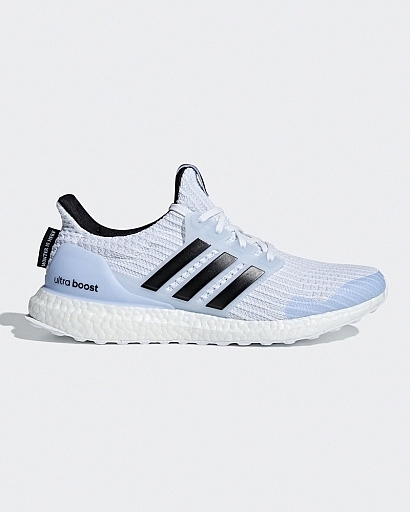 The lace cage, heel cup, and mudguard are a translucent, icy blue, another color seen on some of the White Walkers. The Night’s Watch are the guardians of the seven kingdoms. Stationed at the northern-most point of Westeros, they patrol the infamous wall. Because the wall is in the North and made completely of ice, members of the Night’s Watch wear heavy coats to protect them from the cold. The “Watchers on the Wall” also only wear black.